Star Wars Jedi Master Lightsaber Just $23.46! Down From $50! You are here: Home / Great Deals / Amazon Deals / Star Wars Jedi Master Lightsaber Just $23.46! Down From $50! For a limited time only! Hurry over to Amazon where you can score this Star Wars Jedi Master Lightsaber for just $23.46 down from $49.99 PLUS FREE shipping with Amazon Prime or for orders over $25! Get battle stance-ready with this Jedi Master Lightsaber. Complete with realistic light and sound effects features, this iconic weapon is customizable with other BladeBuilders weapons for maximum power. 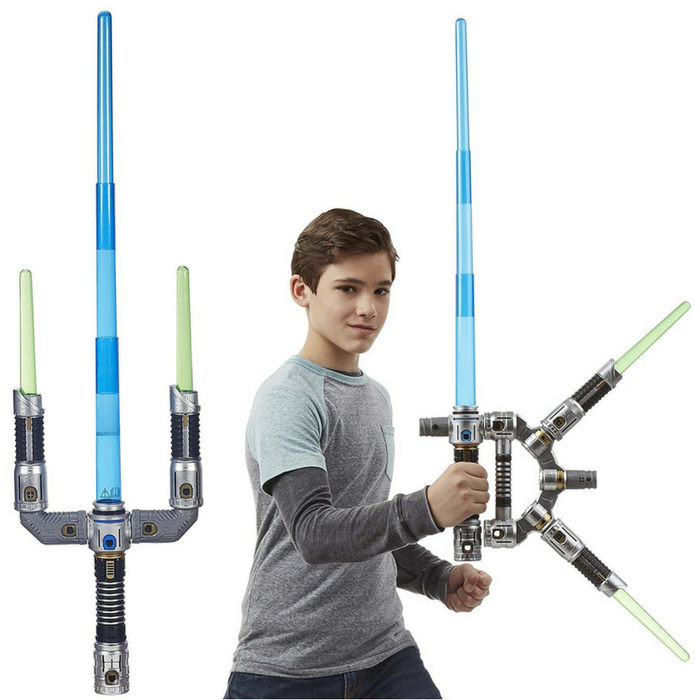 The Star Wars Bladebuilders Jedi Master Lightsaber comes with two additional lightdaggers and an expansion hilt, that blasts as quickly as the imagination can traverse. Blast off and make memorable battle moments with the Star Wars Bladebuilders Jedi Master Lightsaber.